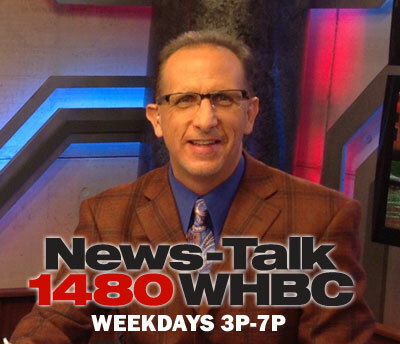 CLEVELAND, OH – Cleveland Cavaliers General Manager David Griffin announced today that David Blatt has been released from his duties as head coach. Associate Head Coach Tyronn Lue has been named Head Coach. The current Cavaliers assistant coaches and staff remain under contract and will continue working with the team. Blatt was named the 19th head coach in Cavaliers history on June 20, 2014. During his one and half seasons as head coach, Blatt compiled a regular season record of 83-40 and a 14-6 mark in last year’s playoffs. Lue is in his second season with the Cavs after being hired as the associate head coach in June 2014. He was previously an assistant coach on Doc Rivers’ staff with the Los Angeles Clippers, who captured the Pacific Division title with a 57-25 record in 2013-14. Prior to the Clippers, Lue spent four seasons as a member of Rivers’ Boston Celtics staff, the last two as an assistant coach. He began his time in Boston as the Director of Basketball Development in 2009-10. Originally drafted by the Denver Nuggets with the 23rd overall pick in the 1998 NBA Draft, Lue played 11 seasons in the NBA, appearing in 554 career games with the Lakers, Washington, Orlando, Houston, Atlanta, Dallas and Milwaukee. The former University of Nebraska star won NBA Championships in 2000 and 2001 with the Lakers. He has previous NFL head coaching experience with the Oakland Raiders in 2011. He has experience as an NFL and college Offense Coordinator most recently with the Cincinnati Bengals, as well as the OC with the Raiders, Falcons and Redskins. In college he called plays for USC and Cal. He has experience in many different NFL coaching roles with 5 different NFL teams (Redskins, Falcons, Ravens, Raiders and Bengals) during his 15 years in the National Football League. He comes from the Cincinnati Bengals, a team in your division, so he already knows all three teams in the AFC North that you play twice a year and must beat to win the division. He has experience in working with quarterbacks from being an OC and QB coach in the NFL, while also playing the quarterback position in college at Pacific. He has experience working for a dysfunctional NFL franchise from when he was the head coach in 2011 with the Oakland Raiders. He guided them to an 8-8 record, still their best record in the last 5 years. He has playoff coaching experience as an assistant from throughout his NFL career. You strengthen the Cleveland Browns with an experienced head coach and also at the same time, you weaken one of your rivals in the Cincinnati Bengals who won the division in 2015. With his 15 years in the National Football League with 5 different teams and with different coaches, he should be able to put together a solid coaching staff. Addition by subtraction! 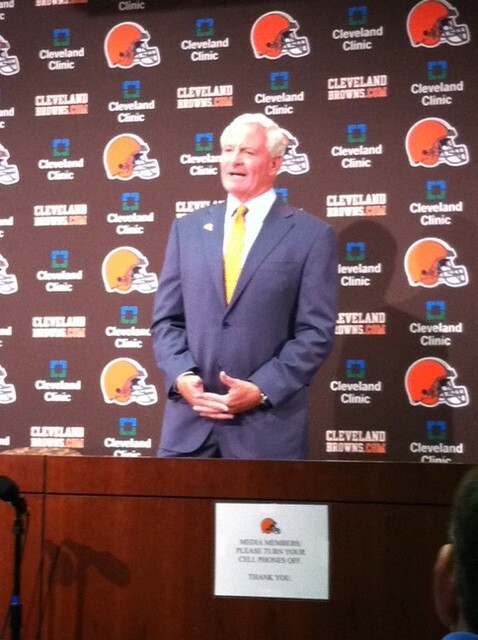 He’s not Mike Pettine, Rob Chudzinski or Pat Shurmur. The Browns actually got a head coach they wanted instead of having to settle for their third fourth or fifth choice. Here is the official press release from the Cleveland Browns on the firings of Ray Farmer and Mike Pettine with thoughts from team owner Jimmy Haslam. BEREA, Ohio – The Cleveland Browns on Sunday night relieved General Manager Ray Farmer and Head Coach Mike Pettine of their duties. Farmer joined the organization in March of 2013 as the Assistant General Manager and was promoted to General Manager in February of 2014. 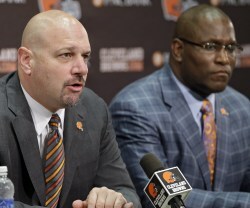 Pettine was named the 15th full-time head coach of the Browns on January 23, 2013. In two full seasons with the team, he compiled at 10-22 record. 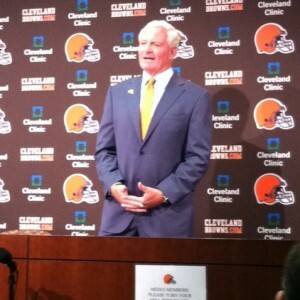 Owner Jimmy Haslam will be available to the media in the postgame press conference room at FirstEnergy Stadium at approximately 8 p.m. tonight. Accredited media may park in the North Port Authority lot and should enter through the west service-level gate.